An introduction to performing on a professional stage and to encourage greater confidence for those who need it! London based EduStage offers a fun creative week of musical theatre for young people. 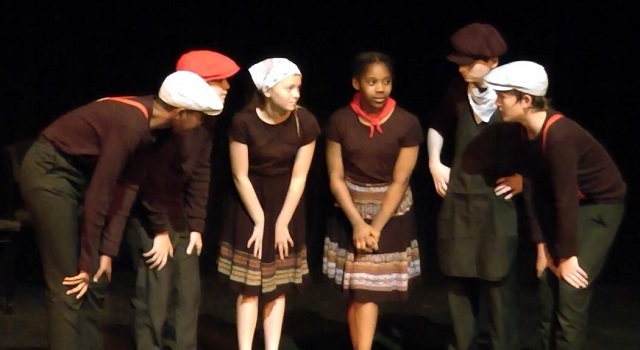 The age groups will be divided for various activities, such as casting and selected musical numbers but all will have the opportunity to appear in a specially devised piece on the main stage of the Epsom Playhouse on the final afternoon. The summer school aims to give young people an introduction to performing on a professional stage and to encourage greater confidence for those who need it! When purchasing tickets please ensure that you download and return the completed Summer School Enrolment form to the Epsom Playhouse via mail or email playhouse@epsom-ewell.gov.uk within 7 days for each participant (see Download Enrolment form) or request a form from the box office. Please book early as this summer school is likely to be very popular and places are strictly limited.